Brief descriptions of each type of laser are presented, followed by tables listing the laser wavelength, lasing element or medium, host, transition, and primary literature citations. A special section on commercial lasers is an added featured. 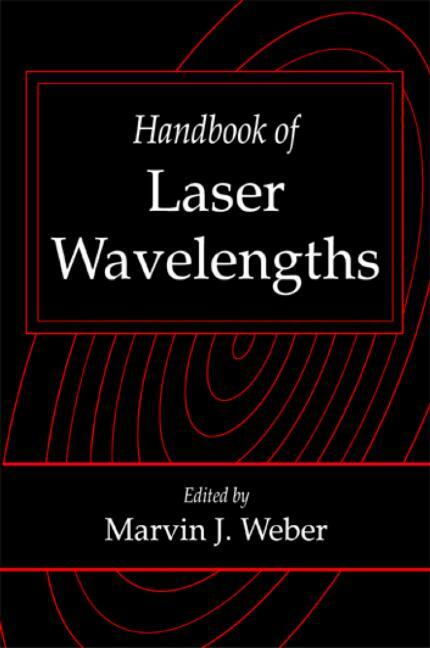 Handbook of Laser Wavelengths singularly serves as the essential reference for scientists and engineers searching for laser sources for specific applications as well as a survey of the developments that have occurred since the advent of the laser. "The Handbooks are particularly valued for their breadth and authority by those working in all areas of laser science and engineering. In large part, their success has undoubtedly be due to the most professional approach and guidance of the Editor-in-Chief, Marvin Weber, who has had a most distinguished and active research career in the laser field…Overall, the Handbook is a major contribution to the reference literature on lasers, and as such, will be most valuable to all those active in the field, continuing the excellence of the CRC Press Handbooks of Laser Science and Technology series. To this reviewer's knowledge, there is no equivalent comprehensive compilation of laser wavelengths available elsewhere as a single source."